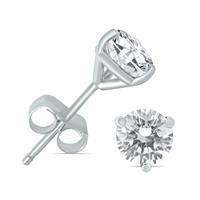 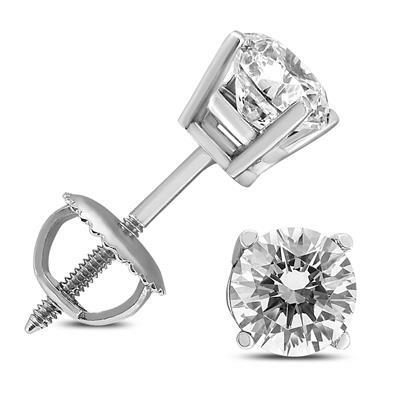 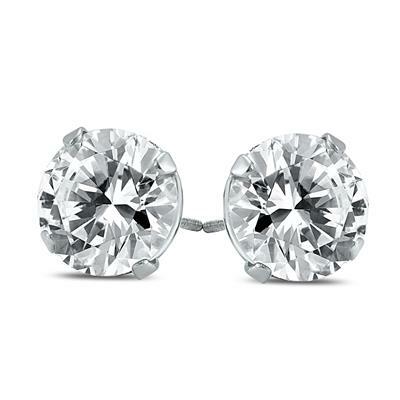 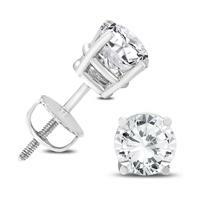 A spectacular pair of round diamond solitaire earrings set in 14K white gold basket settings with screw back posts. 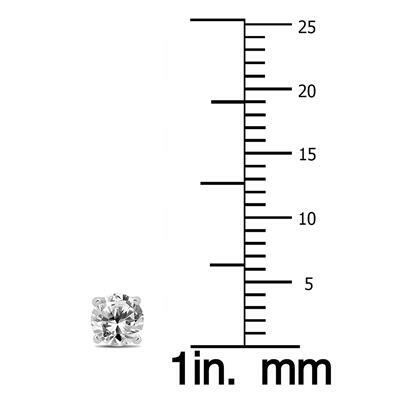 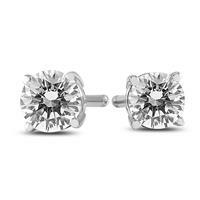 Diamonds weigh 1/2 carat total weight. 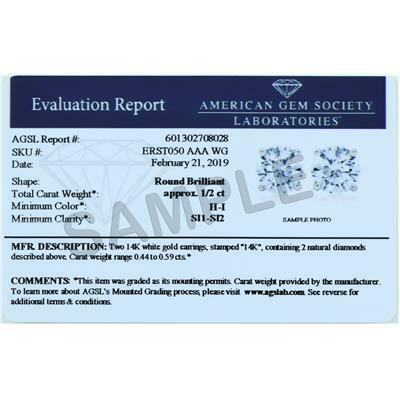 The earrings are handset and matched and come with an official AGS (American Gem Society) Laboratory evaluation report certifying diamond quality. 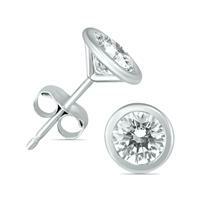 The diamonds certify with a minimum color grade of J-K or better and clarity grade of SI1-SI2 or better.